Pre-order the album digitally to receive ‘Carnivorous Lamb’ and ‘Sugar’ instantly (amazon and iTunesonly)! Italian for ‘venom’, »Veleno« marks FLESHGOD APOCALYPSE’s first record in 3 years, since the release of their critically acclaimed record »King« (2016). The ‘metal part’ of »Veleno« was recorded in Rome, Italyat Bloom Recording Studio and Kick Studio with long-standing collaborator Marco Mastrobuono, while the ‘orchestral part’ – the ensembles – were tracked at Musica Teclas Studio in Perugia. Fleshgod Apocalypse then took the effort over to Grammy-nominated Jacob Hansen (VOLBEAT, THE BLACK DAHLIAMURDER, EPICA) at Hansen Studios in Denmark for mixing and mastering. The entire production of »Veleno« took, according to Paoli, about three months. Artwork for the album was created by Travis Smith (AVENGEDSEVENFOLD, OPETH, KATATONIA). FLESHGOD APOCALYPSE – discuss band’s line-up in new album trailer! FLESHGOD APOCALYPSE – reveal lyric video for new single ‘Carnivorous Lamb’! 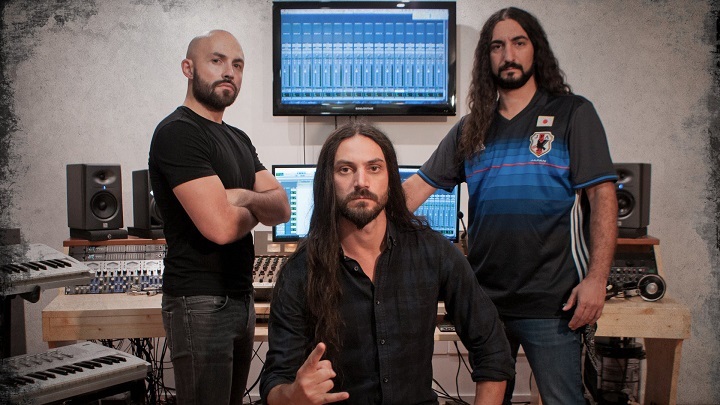 FLESHGOD APOCALYPSE – Francesco Paoli discusses working with Travis Smith on the artwork for the new album, “Veleno”!